Are you content lost? Are you skimming your brain to figure out what in the world you will write about next for your business blog? Are you feeling tapped out? There comes a point that we all feel that way. We either shut the door and call it a day, or we dig. We dig for ideas, inspiration, or get trapped in a sandpit of social media posts. Content Types for Social Media and When to Use Them | You’ve probably noticed by now that there are numerous types of content being shared on social media sites. For example, cat videos continue to dominate the Internet. While sharing silly videos with your friends is part of the appeal of social media, business users need to share content with a purpose. Below are several types of content you can use to get your messages across. 1. Check out comments on your earlier posts. Carpe content diem! Wowzer. That may be the golden nugget for you. Think about all of the time, energy, and awesomeness that you’ve put into your past posts. Think about how many people have reviewed and interacted with you via your posts. Take the opportunity to review the comments left by reviewers. The comments that you review, may just be the spark of content that you’re looking for your next topic or many topics to come. This also helps you to connect with your audience about specifics that stood out to them about your posts. I would encourage reviewing your dashboard data and comments about your posts. This can help you to quickly move to areas that are more engaging and may shed additional light on areas that your audience would like to know more about. Content Curation for Your Facebook Business Page. | Keeping your business Facebook page filled with relevant, interesting content is essential in keeping your audience engaged. Most page owners use a mix of text-only, photo, video, and linked content status updates. Each type of update has its place in the mix. Sharing links to interesting articles, reports, and other forms of content is a form of content curation. When done properly, curating content for a Facebook page is an effective way to demonstrate your expertise. 2. Organize previous posts into a relevant post of resources that can help readers. You thought you were done with that post the moment you posted it. Well, maybe you were done with it. You still can choose to file it away or store it into some other category that you hope others can find the information. Yes, you have options. You’re the boss, remember. You can decide to file away or put to good re-use of posts for your audience. This doesn’t mean to saturate your audience with reruns of content. Rather, you could review relevant past posts and organize those posts into a new post that is related to specific tips or information for your audience. Rather than having an audience sort through your history of posts, you could create a new post that is specifically related to that particular topic and provide information of other posts related to that topic that can help your audience, i.e. 4 Tips to Marketing Research. You could have article that you’ve written in the past about marketing research that provide value about aspects within that article that leads the audience to a valley of additional information. Search hot topics in LinkedIn groups that could spark your blog content. 3. Research hot topics in related LinkedIn groups. LinkedIn is super awesome. You could research topics that are going on in LinkedIn groups that may spark a topic for a blog post. This is especially helpful because the groups that you’re reviewing are typically groups that align with your industry. The topics are pertinent to people in that industry, which is probably also similar to the audience that you write your post for anyways. So, researching topics that are trending could aid you in sparking several topics for your posts that matter to your specific audience. If haven’t checked out LinkedIn groups before, this is a great opportunity for you to virtually network and learn. You can start by doing a search for groups that interest you, align with your industry or cause that you’re concerned about. Stay On Top of Business Trends. | Chances are you feel way too busy as the owner of a small business to stay up to date with the latest news and trends in your field. There are always customer service, budget, marketing or sales tasks that require your attention, and that’s completely understandable. But for the sake of your business staying on the cutting edge, it’s important that you at least take a small amount of time every day to keep up to date with some of the latest news and trends relating to your business. and seeing patterns of successful blogs. 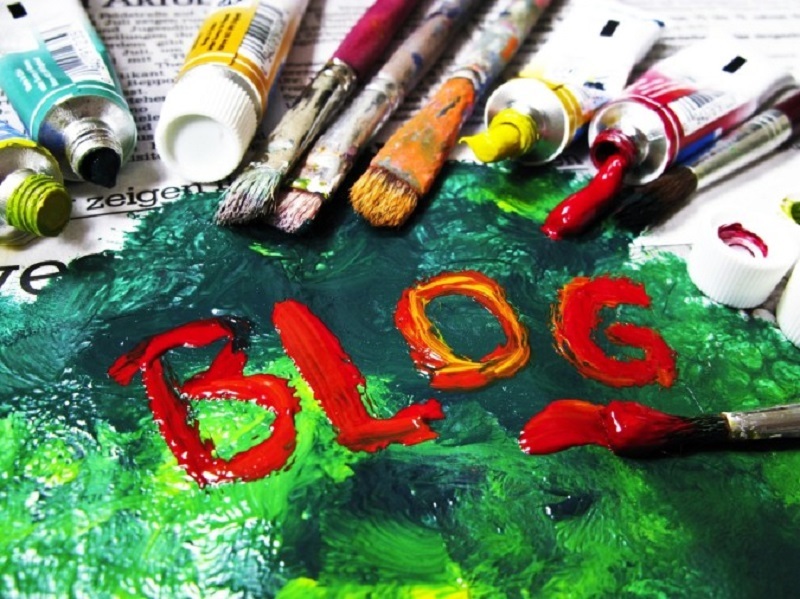 Likewise, it also serves to observe not so successful blogs, and help you to identify things that you want to avoid. This can help you see trends that arise within other online blogging communities that are related to your industry or interest. As such, this is an opportunity to learn through observation what others are doing well and not so well. Then using that knowledge to help you grow. Not to copy or plagiarize. In summary, the above referenced 4 tips to create blog content for your small business are straightforward, to the point, and won’t need a rocket scientist to figure out. You can do this during your lunch time or whenever. I know and empathize with you that coming up with new and improved content can be cumbersome, but there are tips and strategies out there to help. These are just a few. If you have any questions, certainly feel free to give our team a jingle or shoot over an email. Thanks for reading, and enjoy rocking out your blog content journey.